Miriam Tirips Shop Jus by Julie and add any product(s) to your shopping cart. 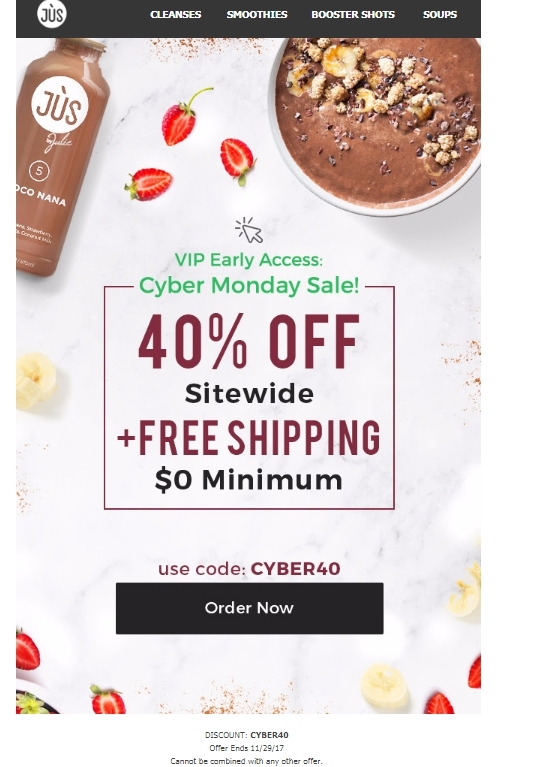 Use code CYBER40 at checkout. Offer Ends 11/27/18. Cannot be combined with any other offer. Daniel Esparragoza I am re-activating this expired deal. Just enter promo code CYBER40 at checkout to get the discount. There may be some exclusions that will apply to this deal. Offer valid until 11/27/18. 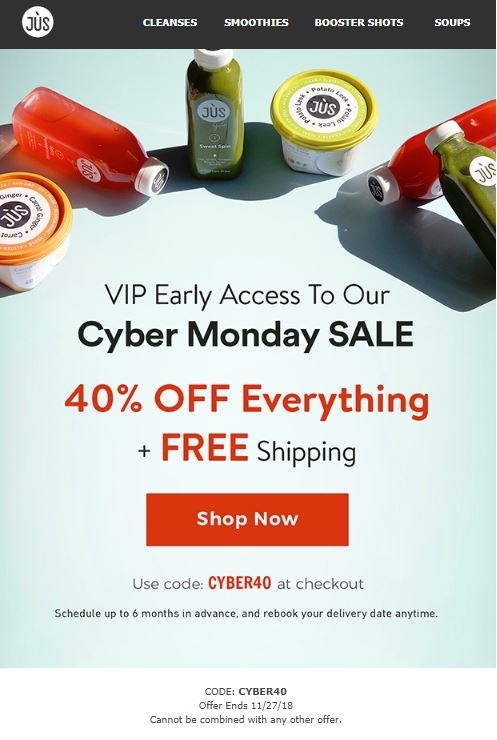 Laura DeLuca DISCOUNT: CYBER40 Offer Ends 11/29/17. Cannot be combined with any other offer. Simply enter the code during the checkout process to apply this discount. elio alejandro I am validating that this deal works as described. 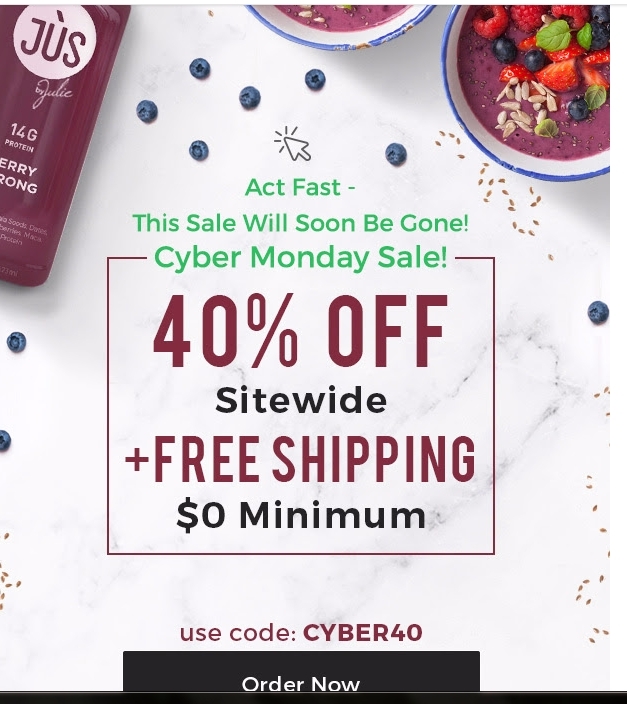 Enter code and Get 40% Off Sitewide at Jus By Julie. This is limited time offer.